The following article is from Vol. 32 No 7 August 2008 Journal of the Native Orchid Society of South Australia Inc. Native Orchids. The Epiphytes: August. Movement of our natives towards flowering is often rapid. How often do we look at our plants thinking that they will never be out in time then take a look the week after and they have doubled in size. Dendrobium speciosum is a classic example of this. One minute the plant is covered in acorn like flower buds then a week later there are bunches of flowering buds everywhere. There is the temptation to force them on but I would leave that until the last two weeks prior to show before making that call. 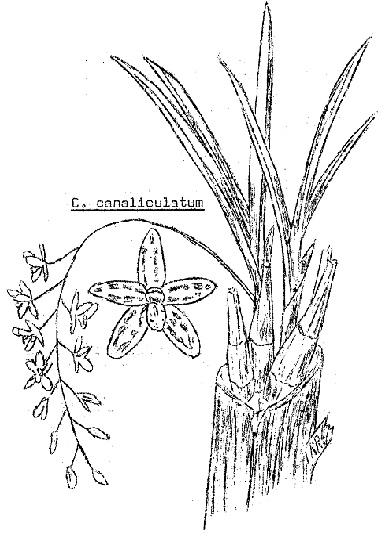 Then we have the Sarcochilus. These can stay in bud for months and not do a thing then suddenly they are away. On the epiphyte side we should have a heap of buds everywhere on the flowering plants. They key is to keep these under cover and away from rain and also slugs and snails that have a nasty habit of chomping into them. Rain exaggerates fungal problems that will rot out a flower spike overnight. Also avoid temperature extremes, especially once the buds start showing on a lengthening spike. Bud drop occurs quickly and the loss of even one bud will sway the judge’s decision. Even and strong light now becomes important especially for those epiphytes with Den. speciosum and Den. kingianum in the background. The reason is we need to create strong upright racemes to support the flowers. No point having the spikes hanging over the side of the plant and then have the flowers doing the same. Some species do have this trait and as such do not make very good parents if this trait is passed on in hybridisation. I like my flowers to look at me and cannot see the point in lying on the ground and looking up at the plants on the bench. Strong light will assist this spike development as does the potassium and potash in the fertiliser. This is also a reason we tend to avoid high nitrogen feeds in our feeding programme. Even light is also important in order that the flowers will be evenly distributed around the pot as opposed to all facing the one way. Hanging flowering plants is one way we can get this even light. Now is also a good time to clean up our plants before flowering. Remove husks over the canes, remove dead leafless canes and trim and clean the leaves. It is easier to do this now whilst the spikes are on the small side. Also give the pots a scrub too. All of these tips will help make things a little easier when it comes time to prepare the plants before show. Also make sure you have some fresh topping for the pots. It’s these little things that helps improve the presentation of our plants. Only remove leafless canes if you think they have completed their flowering potential as many will flower for years after losing leaves or if the cane affects the appearance of the plant. If the forward growths are struggling under no circumstance remove the leafless cane unless it is absolutely dead as the struggling plant would be relying on stored nutrients in this cane to survive. I would then concentrate on why is the plant in the state in the first place. Even though we are two months away from re potting and dividing our plants it is now time to take stock of what plants will be potted on, divided or sold off on the trading table. That way we can arrange pots, mix etc in preparation. The other thing I am looking at now is where am I going to move my plants this year. Last years heat exposed many plants that are susceptible to heat and with the probability that this will happen more frequently in the future there is the need to move these prone plants from where they are at present. Leave them where they are and the same thing will happen again. There will also be the need that these tender plants be removed from the collection and the emphasis placed on more hardy species and hybrids. Watering will be dependent on the hybrids you grow and where the parents originate from. Most of the hot/cold type have the tropical hard cane types in the breeding eg Den. bigibbum and these require dry winters so we need to take this into account here. I do not dry them out completely but then again don’t water them frequently either. I aim for slightly moist at all times to keep the roots in good condition. The others with Den. speciosum, kingianum, falcorostrum all come from cooler climates that receive winter rains and as such can handle being damp over winter. Avoid over wetness as this will be to the detriment of the plants. These plants require a short dry period after flowering to mimic the same dry spring period experienced in the areas where most of them come from. I find that with our reduced rainfall of late, nature provides my plants with enough water apart from the mounted plants that get the odd mist or squirt. Any watering should be confined to the warmer part of the day after lunch. Early morning squirts with water from a hose that has been sitting on a frozen ground all night will not do your plants any favours. Feeding during these cooler months is infrequent and if you miss them for a month or more will not cause too many issues. Plants under cover get watered every couple of weeks and these are usually the hot colds. You will have a few late season new growths reaching full size. Keep an eye on these as they are very prone to rot when water sits in the axils of the new growths. If you notice a growth go reddish or yellow it is a good bet that it has rotted. You can cut the growth off below the infection and treat with a fungicide. I then dry the plant out as a precaution and take a mental note. This plant will always be prone to attack. My plant of the month is Den. aemulum, the feather orchid. This compact growing epiphyte comes from central NSW (New South Wales) to Qld (Queensland) and comes in 2 forms. The iron bark form strangely enough grows on the iron bark tree, a heavily permanent barked member of the eucalyptus family. It has small cylindrical psuedobulbs that grow in a radial pattern topped with two small and rather thick leaves. Small white clusters of flowers that go pink as they age are borne apically over several seasons from the one cane. The other form commonly seen is the brush box form. This is the long caned variety and the two are found in similar areas. These are not often seen in collections and have the habit of slowly fading away in cultivation unless their requirements of light, a suitable host and conditions are met. I have several plants on different hosts and the results are mixed. The best plant grows east on a slab of hardwood in a rather protected spot and is the brush box form. The iron bark forms appear to struggle on mounts of Callistemon and paperbark. Maybe it is the acidic gummy excretions from the bark of the ironbark that are missing. These plants have not been used in hybridisation very much as they do not have the traits that hybridists are looking for. Nevertheless I find them a very attractive flower when grown into a specimen plant and they will always have a place in my collection. They are not easy to obtain and generally restricted to those that have permits to collect them from the wild. Next month is September and with it the warming weather and a profusion of flowers. We will look at a few tips to help with the presentation of show flowers but also look back at those that did not flower well or flower at all and see where we can improve and what went wrong. A very popular orchid grown in culture in South Australia is the epiphytic/lithophytic Dendrobium speciosum. It is a showy species with a heady perfume. 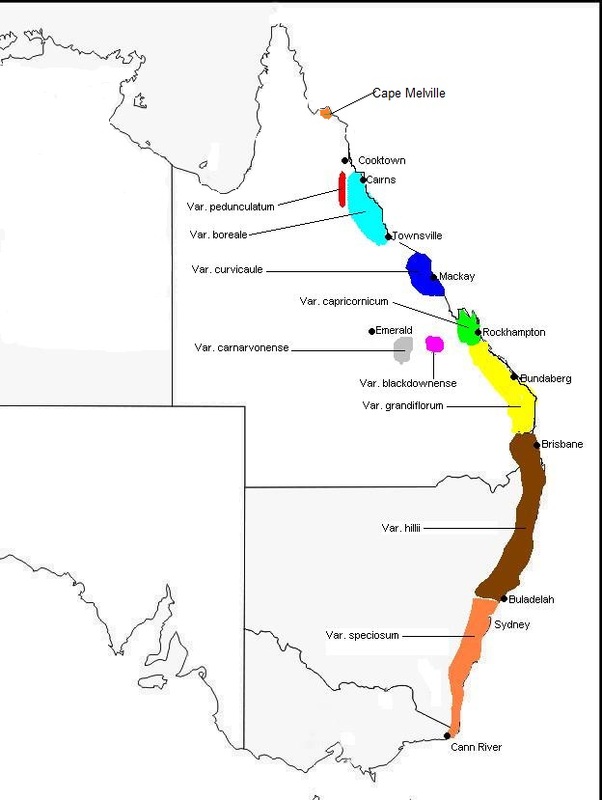 This species ranges along the eastern seaboard from Queensland just peeking into Victoria. There are nine variations each with its own unique distribution. But not only is it popular in South Australia, it is popular throughout the country. The whole of the 2006 September issue of the Orchadian was devoted to a single article on D. speciosum. 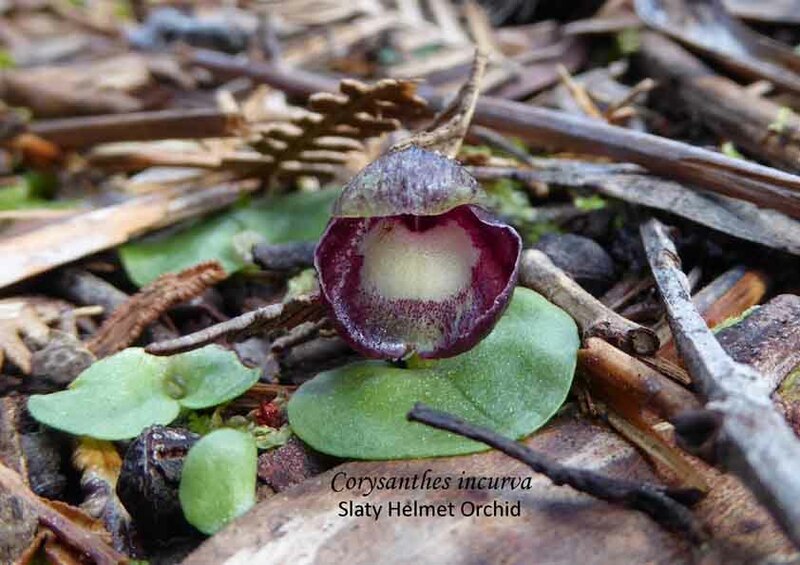 The March 2016 Orchadian has three articles plus references to D. speciosum in other articles. 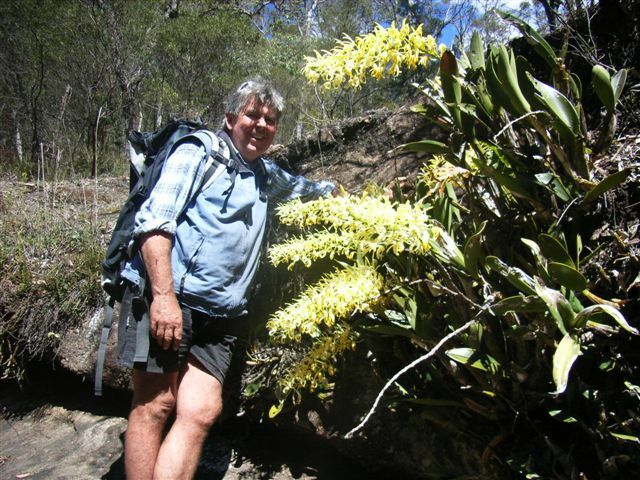 And then there is Gerry Walsh who is so passionate about this species that he has a comprehensive website – The Rock Lily Man – devoted to it. Explore and enjoy his website. 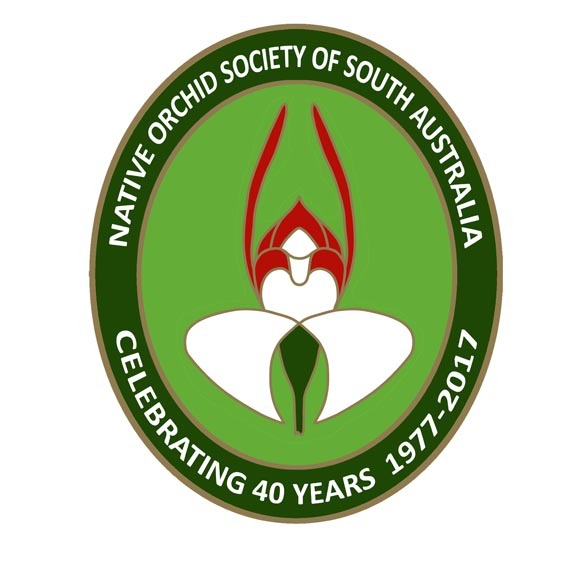 The Orchid Club of South Australia has produced a fact sheet for growing this species in South Australia. In 1983, Ron Robjohns, NOSSA’s first treasurer, wrote a comprehensive series of articles about growing epiphytes in South Australia. Thirty years on Ron’s information for growing is still helpful and applicable for today. Any updates or extra information are in black text. A most interesting orchid, also one of the few epiphytes to grow in Western Australia. It is credited with a southern limit of near Forbes in New South Wales, extending northwards to Cape Yorke Peninsula in northern Queensland and westwards across the Northern Territory to the northern areas of Western Australia. Although sometimes found in the near coastal areas of the eastern states it is primarily a plant of the open forests of the drier inland areas. In some of its habitats there is less than a 55 cm rainfall, summer temperatures of over 38⁰ C with a very low humidity and winter temperatures dropping to below freezing. While not exclusively, it is usually found growing in hollow branches or trunks of trees where its roots penetrate the decomposed wood and often grow to considerable length. No doubt the fact that the roots are protected from the heat enables it to survive and even thrive under such harsh conditions. It frequently grows to form large clumps of crowded pseudobulbs having two to six leaves which are thick, rigid and channelled and are from 10 to 50 cm long and 2 to 4 cm wide. The racemes are up to 50 cm long and can be erect or pendulous with up to 60 extremely variable flowers about 2-3 cm across. The colours range from green, brown, purple, dull red or a combination of those colours and may be either with or without spotting, the labellum, however, is usually white with red markings. I find that C. canaliculatum responds reasonably well to cultivation and have grown and flowered it in plastic planters filled with a mix of charcoal, pine bark and rotted hardwood, also in hollow logs filled with the same mixture. Propagation from backbulbs has been with limited success and it looks like about a six year project from planting to flowering. An established plant can take full sun and will withstand our winter frosts without detriment. Fertilising has been with the occasional dose of liquid fertiliser. When purchasing from a nursery I would suggest medium to small plants as although large clumps may look attractive they usually have had the root system almost completely removed – an operation to which they do not take kindly. Les adds that Cym. canaliculatum should be kept dry from Anzac Day (25th April) to September when the flower spikes appear.